By offering a number of grants and fellowships to medical students, doctors and other medical professionals, the ANZHNCS hopes to encourage and support greater interest in improving the treatment of patients with head and neck cancers. The following grants and fellowships are available – see each one for information on how to apply. The purpose of this fellowship is to encourage international exchange of information concerning the science, practice, and education in head and neck oncology and to establish professional and academic collaborations and friendships. The Fellowship will be awarded in 2020, and the scholar will attend the Annual Meeting of American Head and Neck Society (AHNS). The Fellow is required to spend a minimum of two or three weeks in the United States. The academic and geographic aspects of the itinerary will be finalized in consultation with and by mutual agreement between the Fellow and the President or designated representative of the American Head and Neck Society and the Australian and New Zealand Head & Neck Cancer Society. The choice of head and neck oncologic centres is to be visited depends to some extent on the special interest and expertise of the Fellow and his or her previously established professional contacts with centres the United States. The American Head and Neck Society and the Australian and New Zealand Head & Neck Cancer Society will provide the sum of $10,000 U.S. to the successful applicant, who will also be exempted from registration fees for the meetings. He/She must meet all travel and living expenses. The societies’ representatives will meet with the Fellow about the centres to be visited in the United States, the local arrangements for each centre, and other advice and recommendations about travel schedules. The Fellow is to make his/her own travel arrangements in North America, as this makes available to him/her reduced fares and travel packages for travel. The Councils of the American Head and Neck Society and the Australian and New Zealand Head & Neck Cancer Society will select the Fellow after review and evaluation of the final applications. The 2020 candidate will be chosen from Australia or New Zealand. A personal interview may be requested prior to the final selection. Christopher O’Brien, A.O. graduated in Medicine from the University of Sydney in 1976 and then completed his residency and surgical training at Royal Prince Alfred Hospital (RPAH). He then completed clinical fellowships in head and neck surgery and oncology in England and the United States and, in 1987, returned to Australia, where he joined the staff of RPAH as a consultant head and neck surgeon. There he contributed to the expansion of the clinical service, making it one of the largest in the country. He also established a comprehensive head and neck database, a basic research program and an international clinical fellowship program under the umbrella of the Sydney Head and Neck Cancer Institute, which he founded in 2002. Professor O’Brien had two postgraduate degrees from the University of Sydney-a Master of Surgery for his basic research in microvascular surgery and a Doctorate in Medicine for his work on the management of metastatic cancer in the neck. He had authored more than 100 scientific papers and 17 book chapters and had been honoured with invitations to many countries and institutions as a Visiting Professor and guest lecturer, including invitations to give numerous prestigious named lectures: the Hayes Martin Lecture in Washington in 2004, the Eugene Myers International Lecture in Los Angeles in 2005, the Inaugural Jatin P. Shah Lecture in Prague in 2006, and the Semon Lecture in London in 2006. He was awarded Honorary Fellowship of the Royal College of Surgeons of England in recognition of his contribution to the training of young British Surgeons. In 1988, Profession O’Brien founded the Australian and New Zealand Head and Neck Society, a multidisciplinary society comprising surgeons of all disciplines, radiation and medical oncologists, and allied health professionals. He was President of the Society in 2004. The Society is flourishing and held its 12th Annual Scientific Meeting in 2010. Professor O’Brien was also a member of the American Head and Neck Society and was invited to join the Council in 2005. In 2003, Professor O’Brien became Director of the Sydney Cancer Centre, based at Royal Prince Alfred Hospital and the University of Sydney, whilst maintaining all of his clinical, teaching, and research responsibilities. He had developed a proposal to transform the Sydney Cancer Centre into a $150 million world class comprehensive cancer centre, and that project is moving forward with great momentum, named as The Chris O’Brien Lifehouse Centre at RPA. Chris O’Brien was widely known to the people of Australia for his many appearances over the last 12 years on the award winning reality television program RPA, and on Australia Day 2005 he was awarded Member of the Order of Australia (AM) for his services to medicine. He was a devoted husband and father with many interests, including skiing, reading and playing guitar. Unfortunately, in November 2006, Professor O’Brien was diagnosed with a malignant brain tumour and despite receiving treatment, passed away in June 2009. 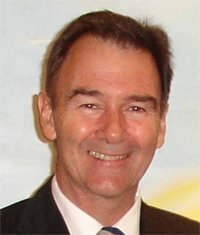 Christopher O’Brien was awarded Officer of the Order of Australia posthumously “For continued service to medicine and to the community through advocacy and fundraising roles for the development of integrated care and clinical research facilities for people with cancer, particularly the establishment of the Lifehouse Centre at Royal Prince Alfred Hospital”. Applications for the travelling fellowship may be obtained from the American Head and Neck Society’s website at www.ahns.info, the Australian and New Zealand Head & Neck Cancer Society’s website at www.anzhncs.org, or by writing to the secretary of the respective societies. An application form is also attached to this announcement. The closing date for receipt of completed applications is to be advised. The successful candidate and an alternate will be selected and notified by (date to be advised). Application for the American Head and Neck Society-Australian and New Zealand Head & Neck Society Chris O’Brien Travelling Fellowship for the year 2020. A current (no more than 3 months old), detailed curriculum vitae, signed and dated by the applicant and including medical school, postdoctoral education, and past hospital appointments, plus a complete bibliography and record of meeting presentations are to be submitted with this application. All information is to be typewritten on A4 plain white paper. Applicants are to submit, in addition, an essay of no more than one page, stating how, in their opinion, they fulfill the requirements and their reasons for applying for the fellowship. Applicants are requested to type their names in the upper left hand corner of the essay. This grant is awarded to a Doctor, Allied Health or Nursing professional (with a relevant higher degree in Oncology or similar) from a developing nation with an interest in head and neck cancer. The applicant is expected to attend the Annual Scientific Meeting (ASM), can organise a visit to another Head and Neck Cancer centre, and is invited to present a paper on life and work in their hospital and Head and Neck Cancer in their society. The ANZHNCS Developing Nations Visitor Scheme will provide the recipient with funding to assist with the payment of the ASM registration fee, airfares and accommodation and any other incidentals. To assist in planning, the Society can pay upfront for the ASM registration and accommodation costs, and organise transfer flights within Australia and New Zealand to attend other Head and Neck Centres during the visit if required. All costs would be deducted from the grant funds, and the recipient would receive the balance remaining after the ASM (all receipts are required for reconcilliation purposes). An alternative is for the the recipient to pay for all costs upfront, and provide all receipts to the Society for reconcilliation purposes. Once this process is finalised, the funds would be transferred to the recipient following conclusion of the ASM. Following the meeting the grant recipient is required to provide a report summarising the contribution the grant has made to their personal and/or professional lives. The purpose of these grants is to engender better health outcomes for patients with Head and Neck cancer by providing learning opportunities in Australia and New Zealand Hospitals. Only members of the Allied Health and Nursing profession who successfully submit an abstract for oral presentation, and at the time of submission, state their interest in applying for the Allied Health & Nursing Grant Scheme, will be considered eligible for this grant. The Grant is to assist towards the costs to attend the Annual Scientific Meeting (ASM). Only one such grant will be awarded at each ASM. This grant is designed to allow a Medical Officer from a developing nation. The applicant is required to attend the Annual Scientific Meeting (ASM), give a paper at the meeting, and organise a visitation to a Head and Neck Cancer Centre. The ANZHNCS Travelling Lectureship Scheme will provide the recipient with funding to assist with the payment of the ASM registration fee, airfares and accommodation, and any other incidentals. To assist in planning, the Society can pay upfront for the ASM registration fee and accommodation costs, and organise transfer flights to visit other Head and Neck Cancer centres during the visit if required. All costs would be deducted from the grant funds and the recipient would receive the balance remaining after the ASM. An alternative is for the applicant to pay for all costs upfront, and provide all receipts to the Society for reconciliation purposes. Once all outlays have been finalised, we will transfer the funds after the ASM. Following the visit the applicant will be required to submit a report to the grants subcommittee. Watch this space. Application opening soon. Prizes are also available for Best Overall Oral Presentation and Best Overall Poster Presentation submitted to the Annual Scientific Meeting, with the entries being assessed during the meeting. There are many individuals who have made a singularly important contribution to Head and Neck Oncology at a national and international level. Whilst those individuals may receive recognition in their own specific field, the Executive felt it was appropriate that the Society, as the organisation which brings together practitioners from different backgrounds, recognise the contribution of these individuals. The Executive has thus approved the establishment of a Medal of Excellence that will be awarded as appropriate (not necessarily on an annual basis) to individuals (Clinician and/or Scientist) who have excelled in this field.